Some people are natural-born organizers. 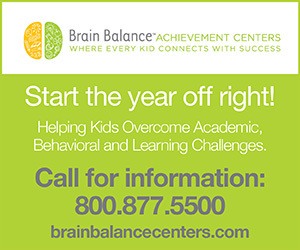 Some are happy recipients of careful parental organizational guidance. Let’s just say I’m neither. As small as my home is, it seems I never quite have a handle on all there is coming and going, piling up and breaking down, getting buried and getting lost. With the launch of Marmalade, I reached critical mass – something has to change or my head might explode. It’s time to get it together, people. To get it together once and for all – and to make sure that my new-year-heightened determination doesn’t fizzle faster than the fireworks announcing 2014 – I turned to local productivity expert and professional organizer Erica Duran (www.ericaduran.co). Erica helps people get organized for good, in part by literally helping them in their own spaces, but largely by training them to think differently about what “organized” really means. Over the next several issues of Marmalade, Erica and I are going to tackle some of the most common household clutter cases, from paper pile-ups to closet chaos, from kitchen cupboards to the home office and maybe – just maybe – we’ll open the garage door. I’ll be the lab rat… and I’ll pass Erica’s lessons on to you. 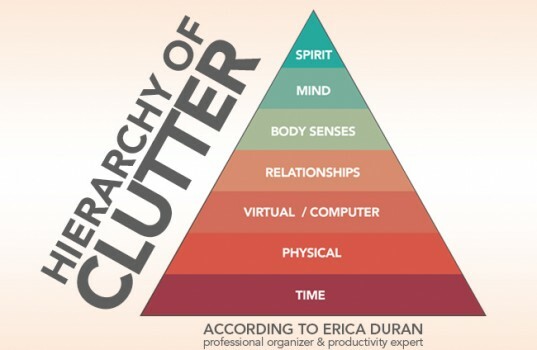 According to Erica, de-cluttering your life and getting organized isn’t about getting rid of stuff; it’s about getting what you want. The de-cluttering and organizational strategies are just tools. So when she takes on a new client, the first thing she addresses with them is the issue of time. The first step in de-cluttering your life is de-cluttering your time. When you have more time for clearing your space, you’ll actually have an opportunity to clear your space. So before you (or I) delve into any papers, closets, cupboards or desks, Erica suggests you have a frank conversation with yourself about your time. How are you spending it? Are you very “busy” but not very productive? Do you have time for your family and yourself? Are you ever getting to the things that make you happy and fulfilled? No? Then it’s time to get serious about managing your time. 1) Keep a planner. Seems obvious, doesn’t it? But we all need a system for planning our time. Without some level of planning, we are less productive and less able to get to everything that is important. Does your mobile device or tablet serve your daily planning needs? Erica finds that moms and women entrepreneurs tend to still do better with the tactile and tangible nature of the paper planner. Whatever your planning tool, it has to be flexible, customizable and effective. 2) Batch! Look at all your tasks that you have during a certain week or span of time, and batch together those that are similar in nature. This leverages both the time savings of being “in the flow” on similar tasks, and it helps ensure you get stuff done because you’re less distracted in general. You can batch errands by paying attention to the order or route you take, to minimize drive time; you can batch snail mail and bill paying rather than dealing with it every single day; you can batch meal prep by washing and chopping for several days’ worth of meal in one session; you can batch email work, phone calls, even health appointments. 3) Have a Master Task List. Make a daily to-do list, but also make a Master Task List, where you can “dump” all tasks, ideas and projects, big or small, into one document – separate from a daily to-do list. Having a Master Task List means that you always have a place to write those good ideas that come to you and you will know exactly where to find them in the future, but they are not staring you in the face, following you, distracting you and overwhelming you on a daily basis, providing your clarity of mind. 1) Purchasing bins and other “organizing” products. The reality is that these products become clutter themselves, or they delay the real goal: dealing with the stuff. 2) Multitasking. Every time you “switch” gears on a task it takes you five times longer to complete it. Multitasking is a misnomer. You can only literally do one thing at a time. Focus on it until it’s done, then move on to the next task. 3) Not saying “no” enough. Evaluate what is asked of you by family, friends and colleagues; see if those requests match up with what you want in life. If it’s not a match, say “no” and don’t feel guilty. 4) Not getting enough sleep. Inadequate sleep is poor for your health and poor for your productivity. Plan for sleep and turn off electronics an hour before bedtime. 5) Underestimating the scope of a project. Instead of expecting to get an entire room cleaned out in a day, set your sites on one part of the room, complete it, then move on to the next. 6) Having an inbox. This evil little box is disguised as the perfect answer to paper clutter! But too often it becomes a “dumping ground.” Start processing items as they come in. 7) Filing and/or scanning. 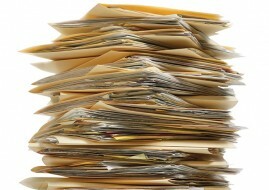 Over 80% of what we file never gets referenced again. Make sure you have your awareness “turned on” and an actual purpose for spending time and money filing or scanning. Need a clear path forward? Connect with Erica Duran at ericaduran.co.